Note:The price which is mentioned is base prices, rest prices may vary according to specification. Length: 10"-15", 0-5", >25", 15"-20", 20"-25", 5"-10"
We are pioneers in offering a compact assortment of Pleated Filter Bag to our esteemed customers. Offered range of pleated bags is fabricated at our setup by making use of premium grade raw material obtained from certified vendors of the market. 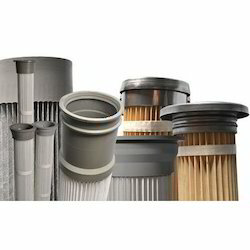 we are dealing Pleated Filter Bags. 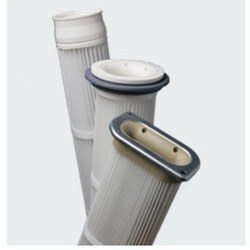 these filter can install easily with the support of snap band/snap cuff. and these are available in 158/160 dia x up to 2 mtr long. with the different filtration area. Type: :: Collar, Snap band fitting suitable for pulse jet cleaning & mechanical shaking. Sizes: :: As per customer Drg. Design: With proper number of pleats, depth of pleats to give more area. Material: Spun Bonded polyester with antistatic, anti adhesive and aluminium coating.